Easter is our spring excuse to indulge in all things sweet and delicious. Bright flavors, loads of chocolate, ornate decorations, and fun treats are par for the course with Easter desserts and goodies. Whether you're in the mood for bunny-themed treats for the kids, sweet breads for brunch, or decadent cakes for dinner, we have many fun recipes to try. Some are easy and others will challenge your baking skills, though all are delicious and perfect for the Easter holiday season. The sweet flavor of lemon is ideal for a spring occasion. 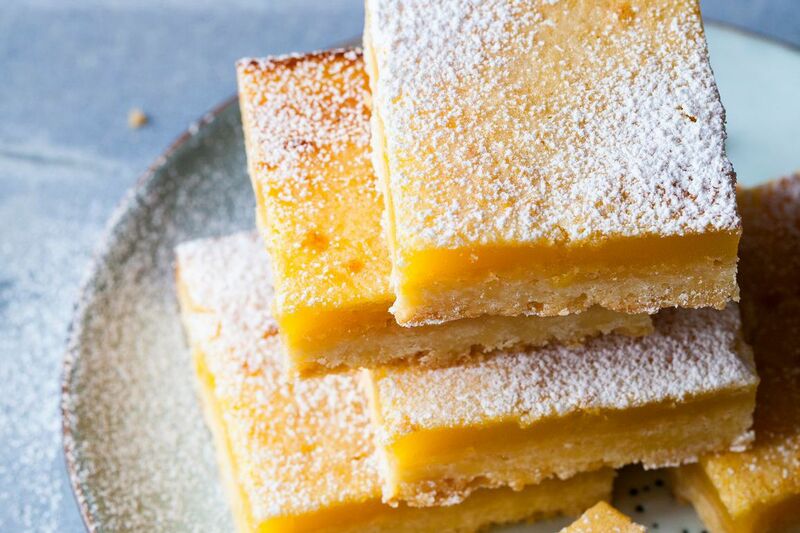 A perfect way to enjoy that taste is with delightfully delicious lemon bars. This particular recipe is heavy on the lemon, so they have a great zing trapped inside the fluffy cake. Among the great temptations of the Easter holiday are those delicious chocolate peanut butter Easter eggs. There's no need to buy them, though. If you're in the mood for some candy making time, you'll enjoy creating and decorating these delicious sweets. Easter egg cake pops are tiny bites of moist cake on a stick. Kids love them and it's the perfect excuse to give them a try. They're especially fun for this holiday because you can use your imagination to decorate the lemony eggs with all sorts of spring colors and designs. So cute and very easy to make, Easter bunny cookies are too much fun to pass up. It's a kid-friendly kitchen project that requires no baking. Instead, you'll simply dip Milano cookies in white chocolate and decorate them with candies and marshmallows. Admit it, you can't resist picking up some Cadbury Creme Eggs at the store each year. They're sweet, tempting, and messy fun. If you want to take them to a new level of deliciousness, try deep-fried creme eggs. And, yes, they are as fantastic as the sound. Adorable and delicious, bird's nests are a classic Easter treat. They're also very easy to make. Those delightful marshmallow Peeps sit on top a nest of candy eggs and chow mein noodles or your favorite cereal. This is a great recipe for kids to get some time in the kitchen as well. Another family project, sparkling jello Easter eggs are colorful treats that are a lot of fun to make. Three flavors of gelatin are enhanced with lemon soda and yogurt and layered in an egg-shaped mold. They're the perfect jiggly delight for the holiday. Real egg shells are the only mold you need to make solid chocolate Easter eggs at home. The only ingredient is semi-sweet chocolate and a few tips will help you pull it off. If you're seeking a little gift for true chocolate lovers, this one is absolutely perfect. Who said s'mores should be reserved for summer campfires? Using the best marshmallows of the Easter season, you can bring these family favorites into your Easter celebration and create Peeps s'mores. It's just one of the many fun ways to use Peeps. Strawberries are among the best fruits of the spring season. Take advantage of the early crop and create tempting strawberry cupcakes. This recipe is all about the sweet taste of fresh strawberries. They're even used to create the pretty pink frosting. Macarons are little delicacies that are surprisingly easier to make than you may think. These chocolate macarons are sure to impress anyone at Easter dinner. 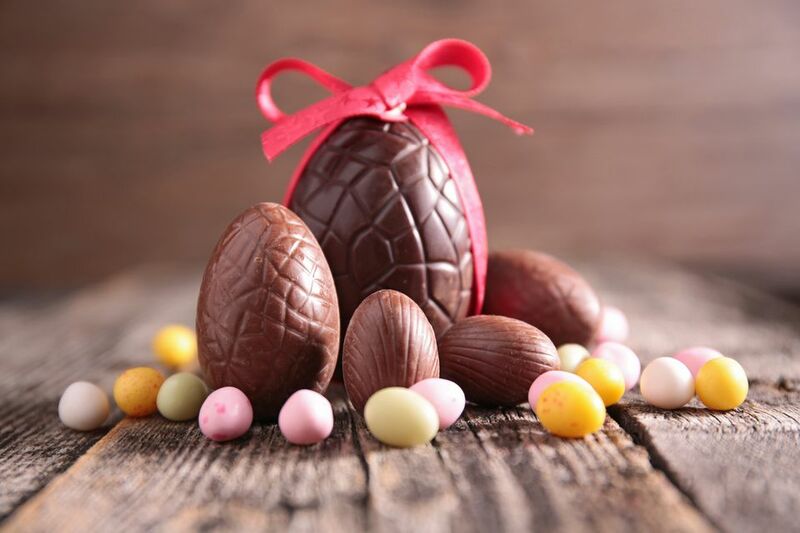 Easter is the perfect occasion to indulge your chocolate fantasies. Few recipes can fulfill your dreams like this scrumptious Easter egg malted chocolate fudge. It incorporates malted eggs into a simple malted chocolate fudge, creating a melt-in-your-mouth treat with a sweet little crunch. A favorite for Passover, chocolate matzo is another simple, fun, and delicious nibble you'll enjoy making. There's no dipping, either. Simply melt chocolate over matzoh in the oven and top with nuts and salt for a sweet and salty treat. A light dessert that is easy to serve for Passover or Easter, these coffee meringues are sure to become a new family favorite. You can make these little cookies a few days in advance and they require just a few basic ingredients. These Greek butter cookies are traditional and perfect if you're looking for a recipe that's not too sweet. You can braid, twist, or create an "S" shape of the dough. They're best dunked into coffee or milk, making them ideal for dessert after dinner or with an Easter brunch. Plums, apricots, and raisins are stewed in a spiced syrup with a hint of lemon to create a dried fruit compote. It's filled with flavor and the perfect way to finish off Easter dinner or a Seder feast. Romanian Easter bread is a sweet bread that is a baker's dream. Traditionally served at Easter and Christmas, this yeasted bread recipe includes raisins, rum, and walnuts in a beautiful loaf to adorn your dinner table. A festive recipe with a delightful icing, an Italian Easter bread is a fantastic way to show off your baking skills. You can form small loaves or have fun braiding this bread. Either way, you'll love the sweet taste of lemon and anise inside each bite. The brilliant flavors of citrus are an excellent choice for a spring pie. The orange chess pie is one of the easiest recipes you'll find and the taste is unforgettable. Make your own crust or buy one ready to go, then fill it with a sweet blend of fresh orange and lemon. This chocolate mousse meringue layered cake is truly luscious. It's sure to please all the chocolate lovers in your family. This decadent dessert is fun to make and it's dairy-free. This makes it ideal as a pareve dessert and for anyone with dairy or flour diet restrictions. Babka is a traditional Polish cake with a name that's as much fun to say as it is to eat. While there are many babka recipes, Babka Wielkanocna is specifically an Easter babka. It's a perfect introduction for any baker who has not tried to make these tempting leavened cakes before. Enjoy a banana walnut sponge cake with the intriguing flavor combination. It's just sweet enough to take your favorite icing or it can be dusted with powdered sugar. This could easily be the star dessert for your Easter brunch. An adorable cake, this Easter lamb pound cake recipe is incredibly easy. There's no shaping or special baking skills required, you'll simply need a lamb-shaped mold and a box cake mix. Finish it with cream cheese frosting and coconut and it makes a sweet decoration for your dinner table. Creating a beautiful, orange-flavored cake may be easier than you think. Florentine Easter cake is an Italian classic and this particular recipe has been adapted for the average kitchen, requiring just a few standard ingredients. If you want to get fancy, fill it with whipped cream. If you enjoy a New Orleans king cake, you'll love this Argentinian Easter ring cake. The recipe is rather simple and, like babka, it's a leavened cake, giving it a wonderful bread-like texture. It's traditionally topped with pastry cream, cherries, and chocolate eggs, so you can have a lot of fun decorating it.